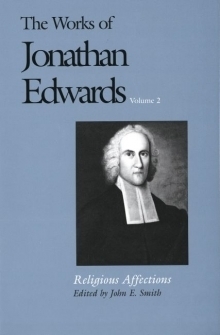 This volume contains Edwards’ most mature and persistent attempt to judge the validity of the religious development in eighteenth-century America known as the Great Awakening. In developing criteria for such judgment he attacked at the same time one of the fundamental questions facing all religion: how to distinguish genuine from spurious piety? The Awakening created much bitter controversy; on the one side stood the emotionalists and enthusiasts, and on the other the rationalists, for whom religion was essentially a matter of morality or good conduct and the acceptance of properly formulated doctrine. Edwards, with great analytical skill and enormous biblical learning, showed that both sides were in the wrong. He attacked both a “lifeless morality” as too pale as to be the essence of religion, and he rejected the excesses of a purely emotional religion more concerned for sensational effects than for the inner transformation of the self, which was, for him, the center of genuine Christianity.